On Friday February 5, 2010 the 6:00 news on Channel 13 ran a story on us. Check out the TV clip. They also put the text of our open letter to the mayor on their website. Thanks to reporter Cynthia Cisneros. HOUSTON (KTRK) — A group is fighting to have more access to a library in one of Houston’s historic neighborhoods. They say the city needs to allow more community involvement. They’re talking about the African-American library at Gregory school in Houston’s Fourth Ward. It’s a question Linda Feldman has asked often. “I sit in my living room and look out and ask why there’s not more traffic going inside there should be a lot of traffic in there,” she said. Neighbor Lenwood Johnson and others there complain the state of the art research facility is often empty and is not community friendly, meaning only those doing research on African-American history and viewing exhibits are encouraged to go inside. Neighbors with whom we spoke say empty rooms should be filled with computers for homework and other projects. “Families here are too poor to have Internet services, so this could do it,” said Johnson. The city says the facility is not a traditional library. It is a research facility, however a mobile library with over a dozen computers for public use come here twice a week and is free of charge. The Houston Public Library says it’s also working with area schools to open the facility to school tours. And anyone who graduated from the Gregory School is asked to come by the facility to share their story. On January 5, 2010 Mr. Lenwood Johnson and I met with Helena Stokes, the administrative manager at the African American Library at Gregory School (AALG). We offered our volunteer services including grant writing and advising on community involvement. Ms. Stokes not only denied to utilize our expertise in African American history and community organizing, she also denied community groups access to the library facilities. We suggested that the AALG offer some after school programs which are particularly needed by the residents in the immediate vicinity of the library. There is a lot of drug dealing in our Freedmen’s Town neighborhood that children must walk by on their way home from school everyday. Our children need structured, regularly scheduled adult supervised programs to save them from the streets. In fact I will volunteer to teach an after school class two days a week. One month has passed since our meeting with Ms. Stokes, yet she refuses to even bother to answer our followup correspondence. As you may know, the AALG has an annual payroll of $437,405. In addition the AALG is also budgeted to spend $18,000 on unqualified consultants. 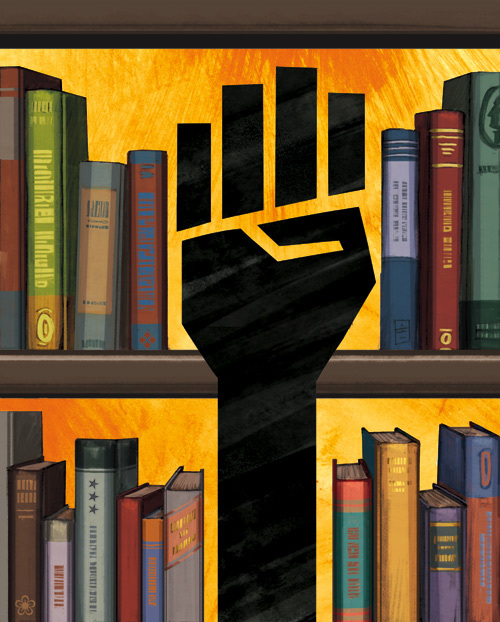 The AALG is supposed to be an archive of African American history, yet it only holds less than 10 linear feet of collections and does not even have any historical black periodicals or even subscriptions to the current African American newspapers. Ms. Stokes and the entire Houston Public Library system does not have one grant in process to purchase African American collections, nor have they ever written one grant to build their non-existent collection. Affirmative action programs need to be installed in the AALG in order to address the community’s needs. The AAGL sits unused because the community’s requests, the city’s own consultants and the city Housing and Community Development’s plans for the Gregory School building were ignored. In these days of budget deficits the Houston taxpayers should not be expected to pay nine (9) library staff to sit around with nothing to do when they in fact could and should be serving the community. What is even more shocking is that not one employee of the African American Library at Gregory even has a credential in African American history or studies. We respectfully request that one of AAGL’s three empty classrooms be immediately reprogrammed into a computer lab with one staffer assigned to assist patrons with job searches and homework. Furthermore, we request that the community be granted access to the facility so that we provide volunteer after school programs. Finally, we request that the excessive security forces in AALG be reduced to a normal amount. Link to ABC TV posting of story.